“I can’t believe how tense my muscles are when I tune in and do a body scan like you taught me.” My client was reporting in on the body awareness focus that is part of our clinic. He had no idea prior to coming in how tight certain muscle groups were. What he didn’t know was that without thinking about it he was acting on a biological imperative. “We have evolved into a species prone to anxiety.” This quote caught my attention at a recent workshop my wife Gail Karvonen D.C. managing chiropractor for Backs on Burnside and I attended on: The Immune System: The Mind-Body Connection Who Gets Sick and Who Stays Well. The context for this quote was that through the process of natural selection the individuals who survived were the ones who paid attention to their fear. Individuals who did not pay attention to their fear often did not survive long enough to have children. It isn’t just a habit that we feel this urgency to act on our fears. To feel fear and act is more of an instinctual response. We are hard wired to notice and act on our fears. We live in a world that has many triggers for anxiety. The speed at which we transport ourselves and the crowded environments many of us live in all demand our attention. In all the information we process there are many cues to trigger anxiety. Anxiety while not always fear is a signal to pay attention to our feelings and do something. How we handle our emotions and the emotions of others around us will be determined by how we handle the anxiety we feel. It was no wonder that my client was feeling so tense and had developed pain and tightness in his particular tension carrying zones. What he was learning at our clinic was putting him back in charge of his body and giving him some ways to deal with his anxiety in better ways. For the world we live in anxiety management is a necessary skill. 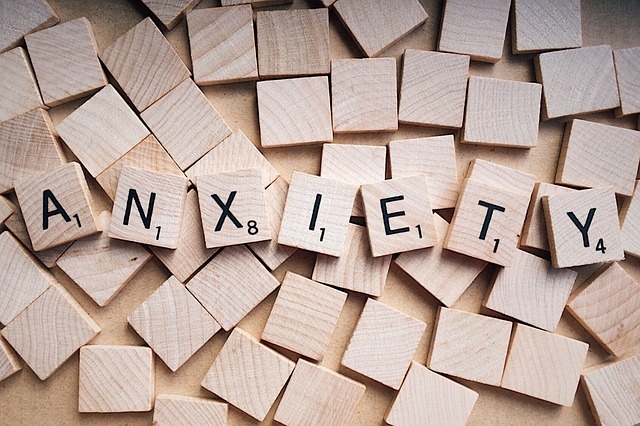 To effectively manage anxiety we need 3 things: a way to recognize anxiety and differentiate it from other feelings, a regular practice time to decrease anxiety and new habits to replace old habitual unhealthy ways we deal with anxiety. When my client and I first laid out a plan for making lifestyle changes he was excited and made good progress. After a few weeks he began to fall back into old habits and sabotage his recent progress. Now we were into the work of therapy, developing and making time for lifestyle changes was not enough. Together we had to look at the secondary gain he received from engaging in his old unhealthy habits. In his case he needed to join a group to use the support, feedback from others and accountability to sustain the changes he wanted to make. We all have found ways to manage what seems like our perpetual anxiety. What matters most is how do these ways serve us and those we care about long term. Are we meeting our greater goals or do we overeat, use other substances, excessively worry and attempt to control things we have little or no control over. How are you doing with implementing the 3 strategies to effectively manage anxiety?